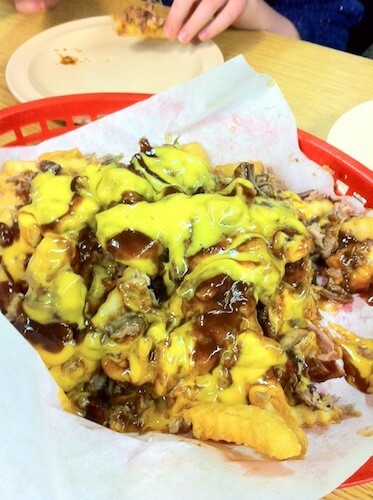 “I’m not an 8-year-old, I don’t eat things like this anymore, and I certainly don’t enjoy it when I do,” I thought, shoveling into my mouth an insanely delicious wad of crispy crinkle fries from A&R BBQ that were drenched in spicy barbecue sauce, covered in pulled pork, and drizzled with bright-yellow nacho cheese. 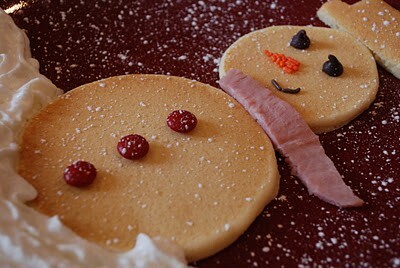 So, apparently, I do eat things like that. And I did enjoy it. And I’m only slightly ashamed to admit it. Last Friday, I took a break from holiday errands to grab lunch from Sweet Grass Next Door. 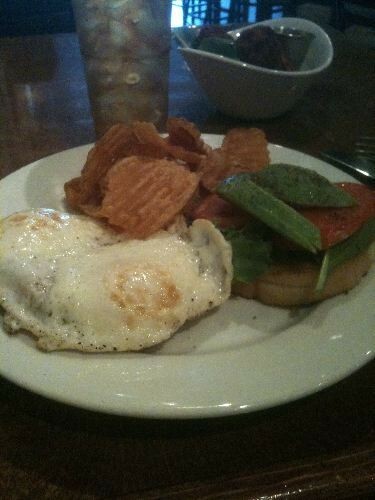 One glance of the menu, and I knew wanted the fried egg sandwich ($8). 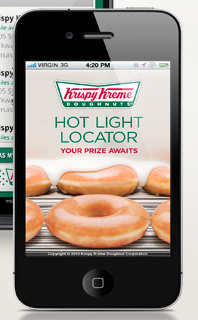 Krispy Kreme has launched a new free app called Hot Light. On a road trip or stuck at the office daydreaming about the mouth-watering goodness of a Hot Original Glazed® Doughnut? Never miss another opportunity to get a Krispy Kreme doughnut Hot…Now...off the line. With Hot Light Online you can map your nearest Krispy Kreme location from your phone and get alerts when the neon glow of "Hot Now" is activated in your area. So lookup, download or tweet your way to find a hot Krispy Kreme doughnut near you. It's worth noting that the Whitehaven Krispy Kreme is the top-selling location in America. So, I got an email following the post on Petra Cafe from someone who asked to be identified as Raoul (for the record, his name is Richard). Just read the article about Petra in Midtown—I am guessing this is the Petra that is on Poplar at Kirby? What relation does it have to the Midtown restaurant—Petra’s—that was on Madison where Fuel is now? I always thought it was odd that we would have two same named but totally unrelated restaurants in Memphis, and I believe the Midtown was there before the one at Kirby, so now the Midtown Petra is defunct and rolled into the Kwik Check on Madison, and the Germantown entity has moved in here—is that the case? If someone might answer that question—might help avoid some confusion, otherwise, we might think oh, they have reopened? I had been taking Union to work lately in order to check on the progress of Petra Cafe. It opened last Thursday, and on Friday, I stopped by for lunch. 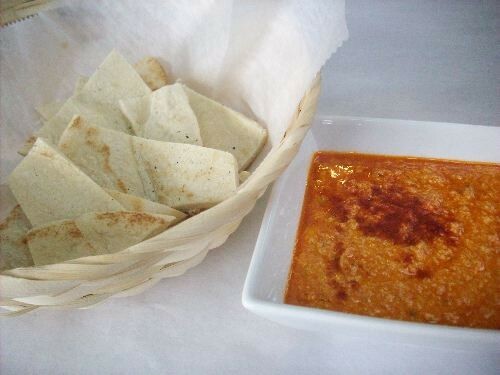 We started with the Feisty Feta Dip ($7). Last week, I had the opportunity to speak with co-owner and head brewer of Boscos and Ghost River Brewing Co, Chuck Skypeck. We’ll pick up here where we left the first part of the interview, in which Skypeck began discussing the seemingly exponential growth of passion and geek-dom from those at the front lines of the craft beer revolution, as well as a brief history of craft beer. From what I’ve noticed, and this is certainly the case with me, most people who drink craft beer are extremely passionate about it. Any idea why this might be the case? I think another thing besides craft beer becoming hip and cool among the 21 to 25 year old drinker is another thing that’s really pushed craft beer sales recently, and it’s the local food movement. I find it really fascinating that I’ve been preaching fresh and local from day one— that’s twenty years— and it hasn’t really resonated until now because it’s across a broader spectrum of products that people think of as being fresh and local. 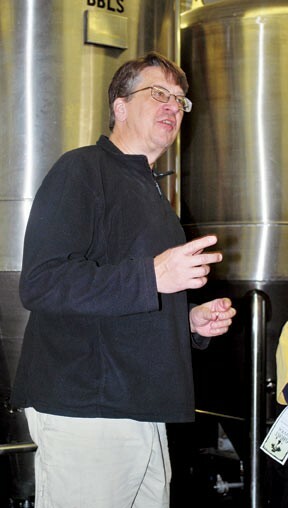 I honestly think that that the local food movement of the last few years has really helped craft brewing, and I think there’s a huge percentage of our customers drink our beer because it’s local, not because its considered craft. Book It! 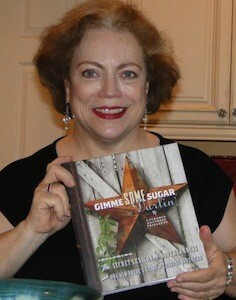 : "Gimme Some Sugar, Darlin'"
To call Laurance Daltroff Triplette's Gimme Some Sugar, Darlin' a Southern cookbook doesn't quite cut it. There are recipes, to be sure — nearly 800(! 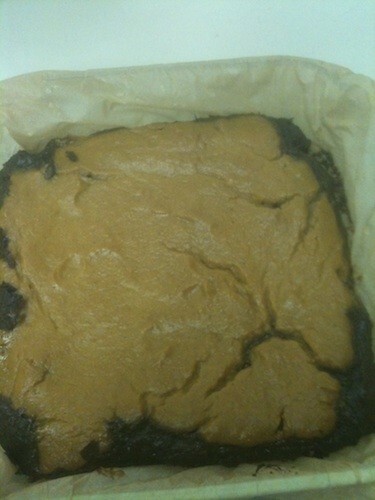 ), in fact, covering all the essentials and then some, from pralines to pumpkin dressing. But no mistaking it: Gimme Some Sugar, Darlin' serves, too, as a love letter to Triplette's family and to the region and it's also a hilarious primer to living in the South. There are probably a million people out there who have shoeboxes and notebooks full of family recipes they've been planning to compile in a book. You actually did it. What makes you so special? Tuesday night I went to Ciao Bella with our resident vegan blogger, Bianca Phillips, to check out the restaurant’s new options for diet-restricted diners. Chef Jonathan Steenerson wants Memphis to know that his kitchen is a friendly place for vegans and carnivores, carb-lovers and gluten-freebies alike. Steenerson let us sample a number of vegan items that aren’t on the menu, but are available by request. 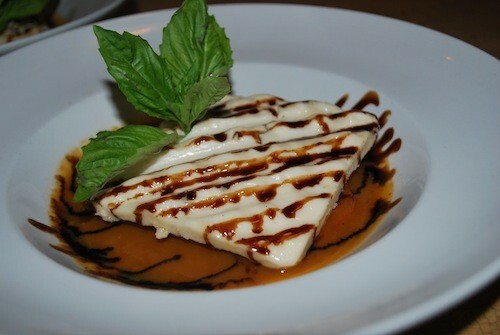 We were particularly impressed with the grilled vegan mozzarella and tomato salad with balsamic reduction and a vegan coconut lemon sorbet. The other night I tweeted that I had made goop for dinner. On Wednesday, December 14th at 4 p.m., The Booksellers at Laurelwood is having a ribbon-cutting ceremony, marking its grand-reopening. The bookstore has replaced the carpets, renovated the bathrooms, and expanded the children's section. And the changes extend to the in-store cafe, which has ditched Bronte for a new name The Booksellers Bistro. 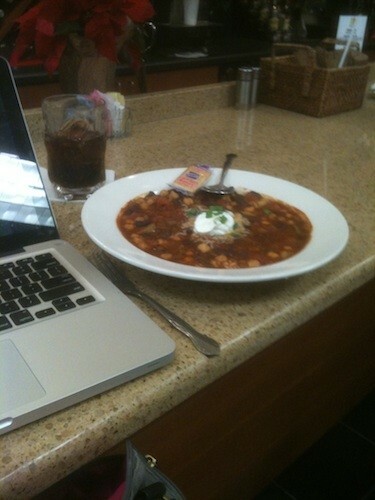 At lunch last week, I ordered the vegetarian chili. On Tuesday, Ghost River Brewing Co. hosted a ribbon cutting ceremony at the brewery to celebrate their new bottling line and the distribution of bottled Ghost River Golden Ale to local stores, restaurants, and bars. 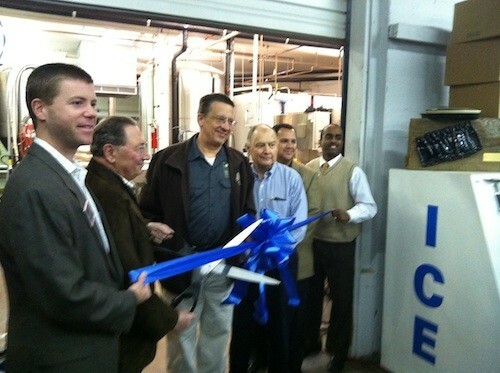 The addition of the new bottling line is part of a recent $750,000 expansion that began early this year. Additional fermentation tanks were also added, increasing Ghost River’s production from 5,000 to 10,000 kegs a year. Members of the greater Memphis Chamber (John Duncan), the Barzizza’s of Southwest Distributing, members of the Wolf River Conservancy, and a crowd of about 100 Memphians gathered between fermentation tanks and pallets of kegs to show their support of Memphis’ own microbrewery. 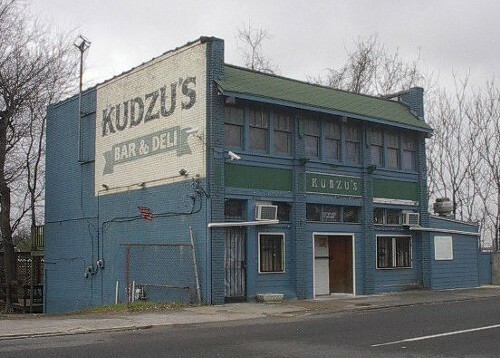 On Saturday, December 10th, Kudzu's will hold a grand re-opening. Kelly and Jerry King took over the downtown restaurant and watering hole from Steve and Cathy Edmundson back in September. "We've kept it kind of the same, same vibe," says Jerry, who serves as manager with wife Kelly acting as owner. There have been changes, though. The Kings bought the building (the Edmundsons rented) and have been making improvements. And the spot, a longtime hangout for journalists, now has wi-fi. There's a new internet jukebox, too, and the draft beer selection has been updated to include Ghost River and craft beers. The menu has stayed roughly intact. 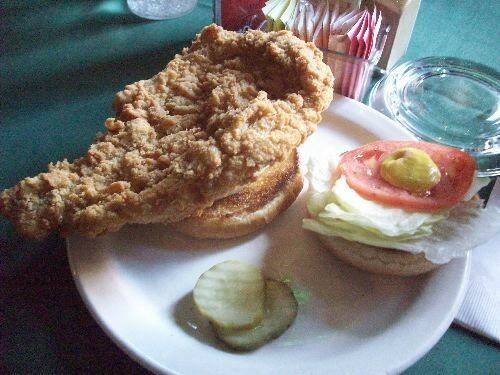 One addition is the Hoosier ($5.03), pork tenderloin breaded and deep-fried. Garden to Groceries/Urban Treats, a project of the Memphis area Boys & Girls Club Technical Training Center, was launched in May. Club members and alumni, ages 16 to 21, make edible items from produce bought at the Cooper-Young Community Farmers Market. They then sell the items. It's an exercise involving everything from cooking to marketing to packaging. By working with local farmers, the Garden to Groceries-ers learn about sustainability issues. According to the center director Tiffanie Grier, they’ve also been growing their own herbs and some vegetables. In addition, they’ve been working at a local urban farm making their own soil. 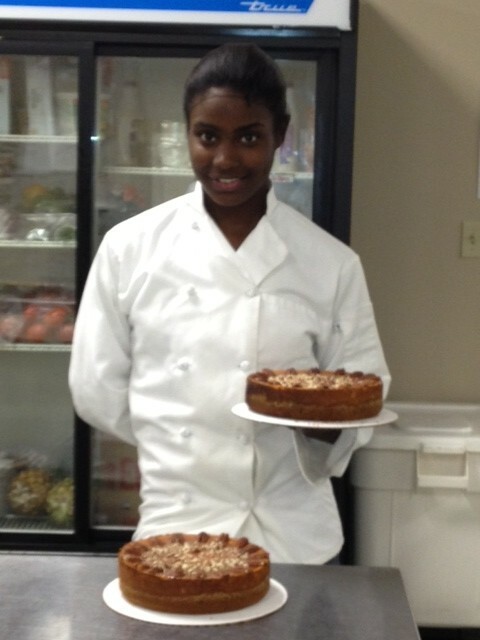 Participants first began selling seasonal items, like cilantro/lime/jalapeno pesto and lemon-basil cupcakes, last summer at the Cooper Young market and the Memphis Botanic Garden Farmers Market. Now Garden to Groceries/Urban Treats baked goods are available at more outlets, and they’re currently taking orders for the holidays. 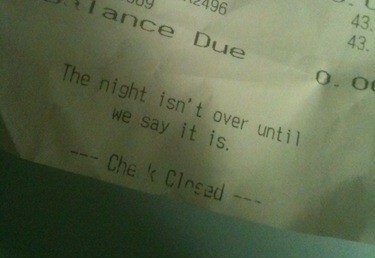 ... which had me checking other receipts. Just the usual thank-yous-and-come-backs, save for one from a restaurant that suffers from frequent bouts of comically bad service. That one had a helpful guide for tipping.